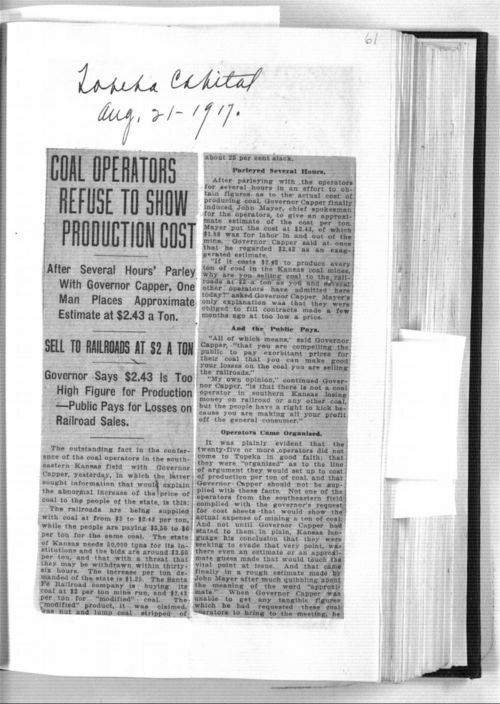 In this article, the Topeka Capital newspaper provides information about the Governors inquiry into the coal producing company's margin of profit. The governor has argued that the prices are unfair. Railroads are being supplied coal at $2.00 a ton while the public is paying $5.50 to $6.00 for the same coal.